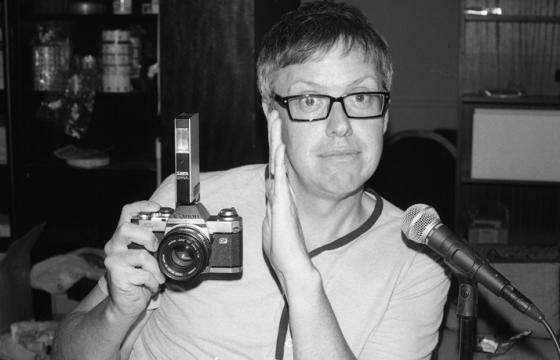 The internet radio show for people who love to shoot film! New 55 Color 4x5, Canon TL, Canon AL1, Book of the Month, Inro to Nikon, 4x5 Dev Tank and More! Greetings folks and welcome to FPP Episode 153! I'm joined in the studio today by Mat Marrash, Leslie Lazemby, Mark Dalzell and Mark O'Brien. 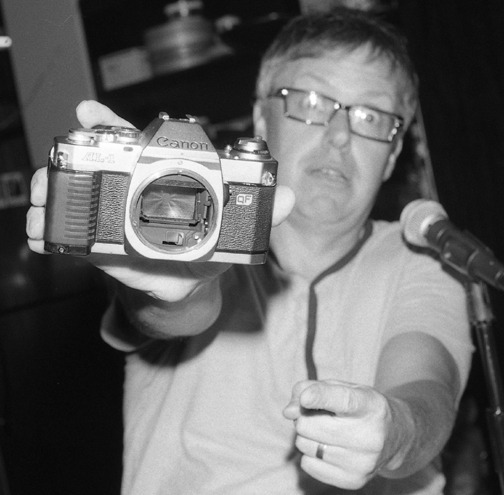 First up, Mat tells us all about the folks at NEW 55 and their latest crowd funding for peel-apart color 4x5 film! 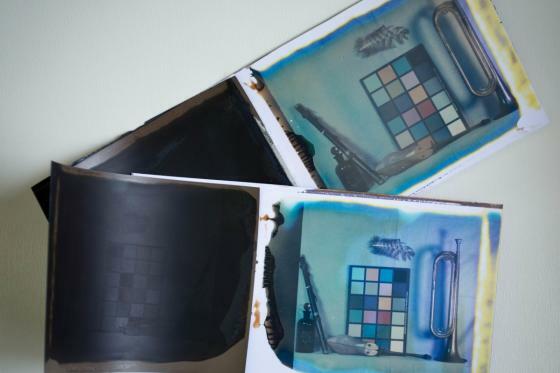 From the folks at New 55: "The news that there will be no more color peel apart products shocked the analog film world and accelerated New55 Holdings, LLC's Color Instant Film research. Like you, we at New55 enjoyed instant color print film and want it to return to the marketplace. We are now beginning an ambitious job to create the capability to manufacture both color and black and white peelapart film for all of us who rely on this type of instant film. This campaign will help pay for important machines and tools to make it possible. Hand assembly -- like currently use in our first New55 FILM manufacturing effort -- isn't going to lead to production quantities or cost control. We don't have much time to get our first color 4x5 peelapart product up and running before the opportunity is lost forever. With your help, together, we can reinvent a new instant color film and keep an important artistic medium alive." 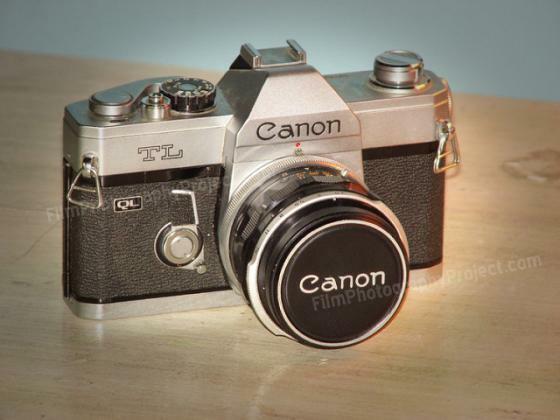 CANON TL - Mark Dalzell reviews hos Canon TL Quick Load 35mm slr camera. Our friends at Camera-Wiki say: "The Canon TL, released in 1968, is a simplified and cheaper version of the FT QL, aimed for mass market overseas. 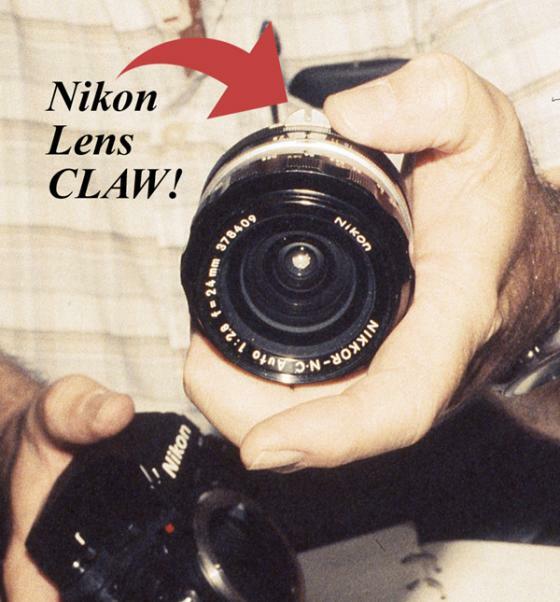 It was designed without a self-timer, but used the same stop-down TTL metering and FL series lenses. While most TL cameras did not have the QL film-loading feature, a few were released with it. The TL had a horizontal-travel, focal plane shutter with cloth curtains. The maximum shutter speed was only 1/500 sec. It had no self-timer. FP and X flash sync was provided with automatic-switching contacts on a PC socket." Mark O'Brien reviews Robert Burley's book. 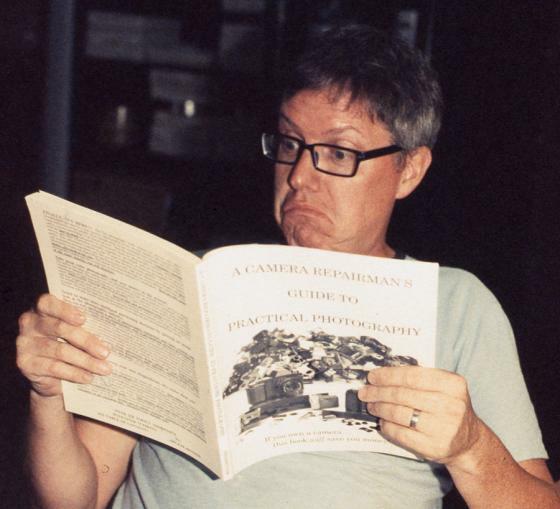 "Over the past decade, photographer Robert Burley has traveled the world documenting the abandonment and destruction of film-based photography, namely, the factories where film was produced and the labs that developed it. 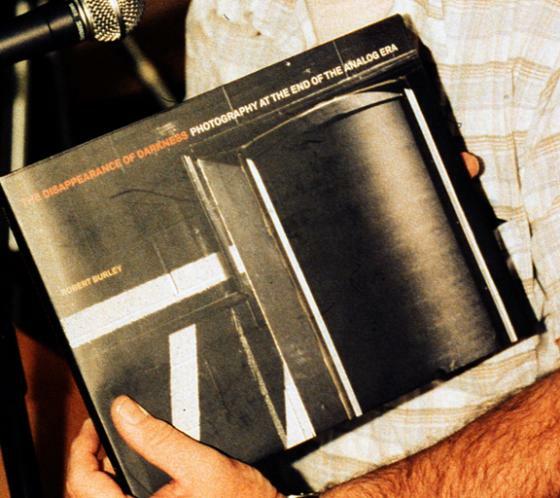 Burley's atmospheric large-format photographs transport viewers to rarely seen sites where the alchemy of the photographic process was practiced over the last century-from the Polaroid plant in Waltham, Massachusetts to the Kodak-Pathé plant in Chalon-sur-Saône, France, the birthplace in 1827 of photography itself. As both fine art and documentary, The Disappearance of Darkness is an elegiac reflection on the resilience of traditional art forms in the digital era and a vital commemoration of a century-old industry that seems to have disappeared overnight." Check out Robert Burley's website - http://darkness.robertburley.com/! 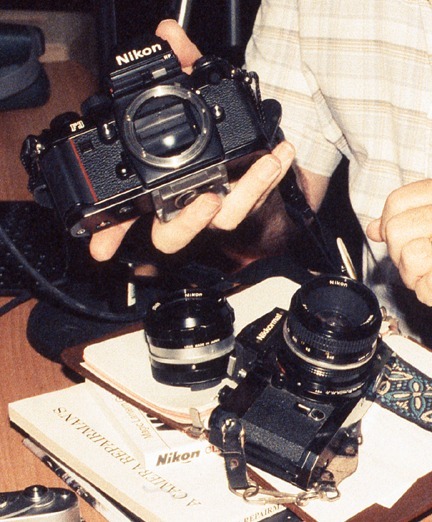 Next up, Mark O'Brien gives us his Guide to Nikon 35mm SLR Cameras. Which camera should you choose to shoot!? Mark goes into great detail including expplaining the "bunny ears" or "claw" as some folks call it! 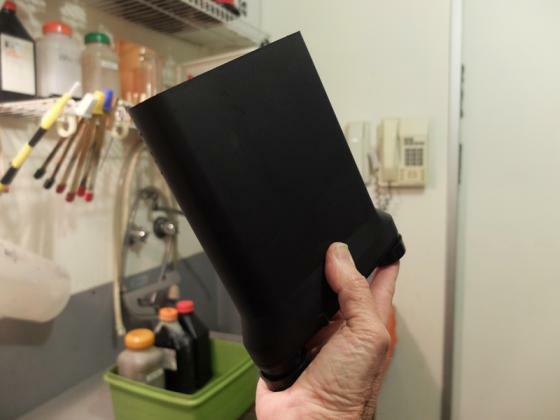 SP-445 4x5 Development Tank - Leslie Lazenby gives her review of the new 4x5 development tank. David Tatnall says: "This new compact 4 x 5 developing system is a welcome addition to large format photography. Designed by Timothy Gilbert a US engineer and photographer who wanted to come up with an efficient economical and easy to use developing tank system for 4 x 5 film processing. He succeeded!" Check out his review here. above: SP-445 tank as tested by David Tatnall. 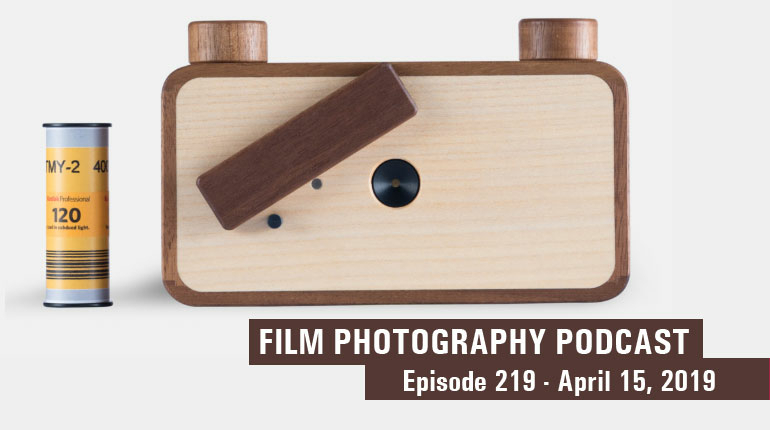 KODAK PHOTO FLO - The Film Photography Podcast is made possible ONLY by your support by shopping at The Film Photography Project Store. Not only does The FPP Stock fresh Hand-Rolled Exclusive Film but also has THE BEST prices on Eastman Kodak Film. New to the FPP Store - Kodak Photo Flo! 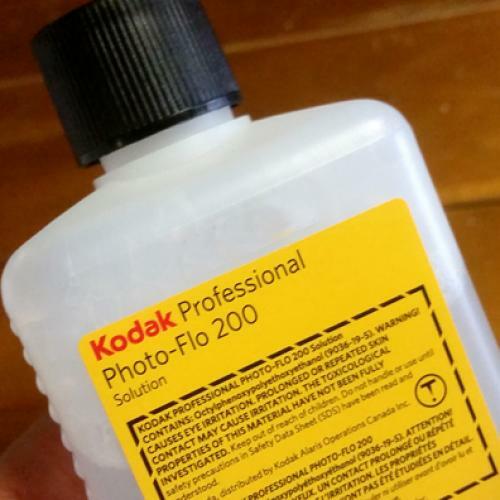 Kodak Photo-Flo 200 Solution is a wetting agent used to minimize water marks or streaks during film development. It is used after the final wash when processing films to decrease the water-surface tension and promote faster, more uniform drying. Thanks for tuning in! See everyone in two weeks! Write to us! Do you have a functional film camera, film camera package or film stock you no longer use? 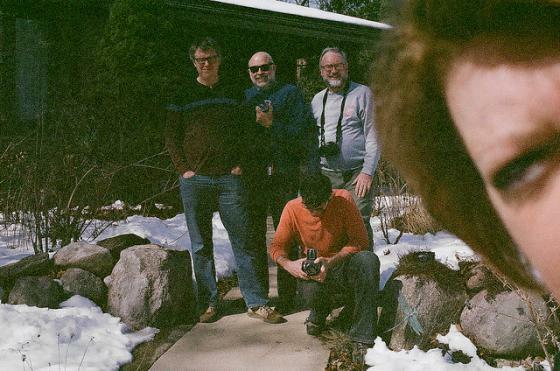 Consider donating it to the The Film Photography Podcast. We will ensure your camera or film will find a great new home via our monthly show giveaways and other school donation programs providing cameras to students and others that have a need. Your financial and / or product support ensures we can continue our regular programming and allows us to acquire the cameras, film and related items for our continued giveaways and workshop programs. Next podcast in two short weeks! 00:05:21 Leslie Lazenby’s Family Dr Pepper Story.